Welcome to the Pillowing Pile Rewards Shop! When you want to use your upgrade/redesign shop item, please comment on the appropriate Pillowing-Archive entry on how or what you're using the item on. A mod will approve it then remove that item from your bank. Raffle Ticket: Always available. Raffle tickets are used in random group held journal events, normally for small giveaways. You have chances to prizes like clover coins, an item from this shop, or maybe even an adoptable! You will need at least 1 raffle ticket to participate. 4th Generation "Make Your Own" Lintling Slot: You will be granted access to one slot for your own personal use. Please check rarity guide for what features you can use. Free use of all Common features, and 1 Uncommon feature. 3rd Generation "Make Your Own" Lintling Slot: You will be granted access to one slot for your own personal use. Please check rarity guide for what features you can use. Free use of all Common features, and 4 Uncommon feature. 2nd Generation "Make Your Own" Lintling Slot: You will be granted access to one slot for your own personal use. Please check rarity guide for what features you can use. Free use of all Common features, all Uncommon features, and 1 Rare feature. Common "Make Your Own" Pillowing Slot: You will be granted access to one slot for your own personal use. Please check rarity guide for what features you can use. Free use of all Common features. Uncommon "Make Your Own" Pillowing Slot: You will be granted access to one slot for your own personal use. Please check rarity guide for what features you can use. Free use of all Uncommon features and below. Rare "Make Your Own" Pillowing Slot: You will be granted access to one slot for your own personal use. Please check rarity guide for what features you can use. Free use of all Rare features and below. Very Rare "Make Your Own" Pillowing Slot: You will be granted access to one slot for your own personal use. Please check rarity guide for what features you can use. Free use of all Very Rare features and below. Special "Make Your Own" Pillowing Slot: You will be granted access to one slot for your own personal use. Please check rarity guide for what features you can use. Free use of all Special features and below. Redesign Kit: With this you will be able to redesign your character within the same rarity tier. Applies to both Pillowings and Lintlings. Note your proposed redesign to the Pillowing Pile saying that you have a Redesign Kit! To learn more about how a Redesign Kit functions, check the Pillowing Redesign Kit Guide! Uncommon Rarity Upgrade Slot: With this you will be able to upgrade your pillowing from common to uncommon, this will allow you to redesign your pillowing and add uncommon features. At this time it only applies to pillowings. Rare Rarity Upgrade Slot: With this you will be able to upgrade your pillowing from uncommon to rare, this will allow you to redesign your pillowing and add rare features. At this time it only applies to pillowings. Very Rare Rarity Upgrade Slot: With this you will be able to upgrade your pillowing from rare to very rare, this will allow you to redesign your pillowing and add very rare features. At this time it only applies to pillowings. How do we get Clover Coins / CC? There are lots of methods to get CC, the most reliable way at this time is through the Prompt Packs we set up for our users to draw or write submissions. Depending on the detail or length of your submission you will be awarded a certain amount of CC. Other methods of getting CC would be through events and raffles! Soon as this shop is fully open to the public our mods will work hard on creating lots of new opportunities for you the users to collect CC in the bank! Why is everything here so expensive? The prices right now are to test the waters and could possibly change in the future. We need to be careful and not overwhelm the market by making everything too easy to get. The rewards shop is a "free" method of obtaining a pillowing or lintling without it costing real currency. If you prefer a faster way to getting a pillowing or lintling, check out open trades or save up cash for the next sale! Why do lintlings only go up to 1 Rare feature? A little bit of the same as the question before this one. We would like to keep very rare and special tier adopts available for sales and auctions only. When will ______ item be available? Items will be announced when they are available, right now there is no set schedule. Welcome to the Pillowing Pile Thrift Store! Please note that this is the guide we will be going off of when registering pillowings now, and that some features rarities have changed! So please look it over before registering your pillowing! This means that the Trait Guide hosted on dA is out of date and defunct, please do not use it when designing your pillowing! We're sorry to say, but there will be no more free redesigns. It was ultimately just too subjective to decide what was "too drastic". However there is a brand new Rewards Shop item that serves the same purpose! It is called a Redesign Kit, and allows you to redesign within the same rarity tier. It will also allow you to redesign your pillowing with more freedom than the free redesigns allowed! The Rarity Upgrade Tickets still act as redesign tickets as well, this item is for those who have no need of higher rarity traits! We've got a whole new Prompt system in place! Prompt Packs are replacing the bi-weekly prompt system, and have much cooler and numerous rewards! Please take a look at the new journal to see just what it's all about! The Spotlight works slightly differently! Not a huge change, the limit is still 3 drawings, and the CC awards have been changed to match with the new Prompt Pack system! Earn CC for (nearly) all of your pillowing or lintling related drawings!!! That's right! Check it out folks! New Rewards Shop prices to reflect the fact that there is now a much wider range of opportunities to earn CC! We've worked on solidifying the Lintling trait rules! The Generations traits are now uniform across the board, it doesn't matter if it was purchased, or from a creation slot! 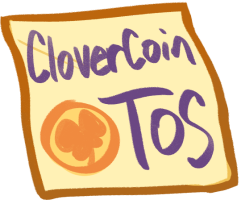 Users will have access to the features listed in this guide, and only Guest Artists/CloverCoin will have access to multiple Rare, Very Rare and Special traits. Also we've got a Discord! Come on in and say hi! We'd love to have you around!! We are also working on an update to our Terms of Service. Just as a heads up for all of you! It's not 100% completed yet, but we will certainly let you know when it is done! We just want to say thank you all so much for bearing with us while we worked towards this. We hope you enjoy all of these updates we have worked so hard towards, as we move forward and continue to make the group even better and more fun! Feb 28, 2019 Pillowing Pile Prompt Packs! Aug 29, 2018 Earn CC for your Personal Drawings! Jul 2, 2018 Grand Re-opening! Sep 18, 2015 MYO Pillowing Slots Update: No longer Trade-able. Apr 15, 2019 (Alert!) Spotlight has been Updated! Jan 22, 2019 Pillowing-Pile is looking for Moderators! Nov 13, 2018 Welcome new Guest Artists! Oct 24, 2018 Pillowing-Pile is looking for Guest Artists! Aug 27, 2018 New ToS, Resale Changes, Redesign Kit Guide! Jul 2, 2018 Introducing Stickers and Sticker Boards! Nov 30, 2017 Expired Prompt 39 Entries!